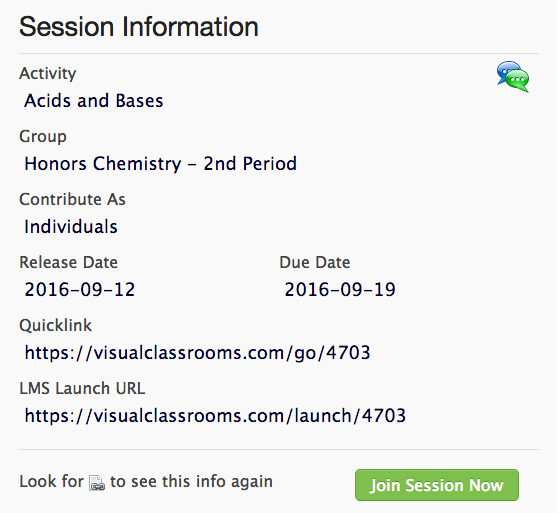 To create a new session, click on Sessions in the Teacher Dashboard dropdown menu. To create a new session, click on the button. From here, choose an activity to assign to a group. Assign a publish date. This will be the day the activity becomes visible to students. You can also assign a due date. The Session Information page includes links to the session both via the Internet and the Learning Management System.